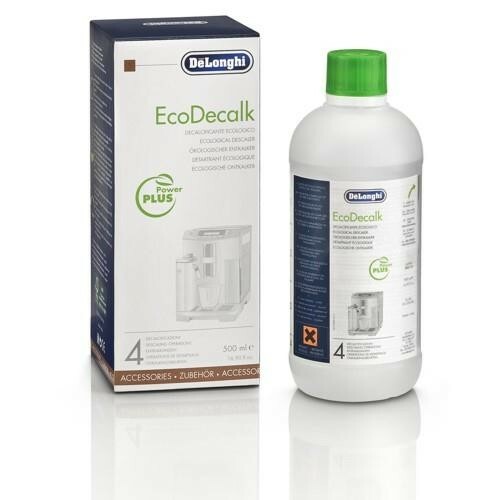 Hard water can wear your espresso machine down a lot sooner than you think, but DeLonghi has a solution: the DeLonghi EcoDecalk Descaler. This 500-milliliter wonder will keep your semi- or superautomatic machine calcium and limescale-free, which increases your coffee machine's lifespan and guarantees a great cup of espresso every time. Featuring all natural biodegradable ingredients, this eco-friendly bottle is also crafted from 50% recycled plastic and is safe for all types of espresso machines. Each bottle contains four doses. 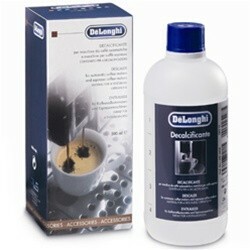 Pour one portion of DeLonghi Descaler in your machine's water tank and flush it through the machine until the water comes out clear.